Sunglass Hut is a retail company specializing in sunglasses and sunglass accessories. They have stores in many states and around the world, with their main and first store located in Miami, Florida. The company was founded by an optometrist named Sanford F. Ziff. They first opened their stores back in 1971, in Dadeland Mall. Nowadays, the company is owned by Luxottica Inc., an Italian eyewear retail brand. The company has over 2,000 stores and more than 9,000 employees throughout the world. They have branches in Singapore, India, The United Kingdom, and other countries. Employee benefits include 401k, health and life insurances, 50-30% discount on their items for their employees, free sunglasses and eye checkups every year, paid vacations, and flexible hours. Their employees enjoy working with them because of the benefits, the company’s culture, and their thorough job training (in which trainees also gets paid throughout the process). How old do you have to be to work at Sunglass Hut? 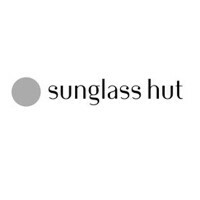 Sunglass Hut accepts hardworking and qualified individuals who are at least 18 years old. Job experience is preferred, while a fresh and pleasing personality is a must. Sales Associate: Sales Associates are a vital part of the company’s everyday operations. They assist customers, help them in checking out their desired products, and basically, make their shopping experience worthwhile and pleasant. To be a Sales Assistant you must have some experience in retail, a pleasing and helpful personality, and knowledge on the products. Sales Consultant: Sales consultants attend to customers and answer any questions they may have. They also recommend products that are suited to the customers’ needs and preferences. To be a Sales Consultant, you must have a fun personality and a good fashion sense. Shift Leader: Being a shift leader means you have the responsibility to supervise and oversee the people who are in your shift. You must make sure that they are on time and they do their job well. To be a Shift Leader you must have a great personality (since you will also be helping customers) and leadership skills. Assistant Manager: Assistant Managers, just like the Store Manager, are expected to oversee the store’s operations. Whenever the Store Manager isn’t around, Assistant Managers are expected to take over. To be an Assistant Manager, you must have a dynamic personality and great leadership skills. Store Manager: Store Managers are responsible in overseeing the store’s daily operations. They also process customer feedback or complaints for the store’s improvement. To qualify for this particular position, you must have a pleasing personality and superb leadership skills. More importantly though, you should exhibit integrity as Store Managers are tasked to monitor theft. Customer Service Representative: Customer Service Representatives listen to the complaints and inquiries of customers, accepting their feedback and helping them in any way that they can—escalating concerns whenever necessary. To be a Customer Service Representative, you must have excellent communication skills and a caring attitude. Asset Protection Advisor: Individuals given this position support the Asset Protection and Operational programs in the company. They protect the company’s merchandise, funds, and properties. They also ensure the welfare of the staff and customers. They train associates and participate in the investigation of situations involving dishonesty, both known and suspected. Specialized Sales Consultant/Associate: The Specialized Sales Consultant or Associate helps in overseeing the flow of merchandise and inventory. They ensure that the store is properly stocked and ready for the day. They also help and assist customers in their purchases. To be a Specialized Sales Consultant or Associate, you must be organized and responsible. You must also have a pleasing personality. Sales Supervisor: The Sales Supervisor manages the staff and maintains the flow and balance of the store’s inventory. They would coach the Associates and help them develop their skills to help customers get the best shopping experience in the store. You must have experience in the field of retail in order to qualify for this position. Specialized Director: The Specialized Director is part of the store’s leadership staff that helps new trainees and employees develop their skills and reach their full potential. To claim this position, you must have good leadership skills, experience in retail, and a dynamic personality. There are two options in signing up to be part of the company. You can go to a nearby Sunglass Hut branch for an in-store application, or you can visit their website to proceed with online application. In most cases, it is more convenient to use their site and apply there; they will be giving you a brief questionnaire in order to know what job suits you. Be sure to honestly and thoroughly answer the questionnaire and any form that may come with it. These documents will allow the company to determine your strengths. In your resume, highlight your skills as they will be taking note of those important details. Also, elaborate on your most relevant experiences as these may give you an edge against other applicants. During the interview, remember to exhibit a fresh and pleasing personality to impress the hiring staff. They will be looking at your every gesture, your way of speaking, and your expressions to see if you’re fit to work with them. The company is known for having a friendly and supportive work culture. Retail employees are never pressured to make a sale, and accomplishments are always given attention by the management. Recently, the company has released a new line of sunglasses in collaboration with OFF WHITE at Selfridges. According to OFF WHITE’S Head (and Louis Vuitton artistic director) Virgil Alboh, the new sunglasses exude a youthful modern elegance. The company is known for their high-end products that never fail to keep up with the trends. Other than that, the company is recognized for their philantrophic operations and for supporting OneSight. OneSight and Sunglass Hut have been working together for quite some time now, with over 1,000 volunteers who teach the citizens of more than 40 countries about proper eye care. 1 How old do you have to be to work at Sunglass Hut?